PAYDAY 2 is a four-player co-op shooter set in Washington DC where you strive to become the most notorious criminal. The game is currently free to play for next 5 days on Steam for Linux. Check out game trailer. Rob Banks, Get Paid – Players must choose their crew carefully. CRIMENET – The dynamic contract database lets gamers pick and choose from available jobs. Dynamic Scenarios – Every single scenario has random geometry or even rare events. Choose Your Skills – As players progress they can invest in any of five special Skill Trees: Mastermind, Enforcer, Ghost, Technician and Fugitive. Weapons and Modifications – Huge arsenal covering everything from sniper and assault rifles to compact PDWs and SMGs. Once you've settled for a favorite, you can modify it with optics, suppressors, fore grips, reticles, barrels, frames, stocks and more, all of which will affect the performance of your weapon. 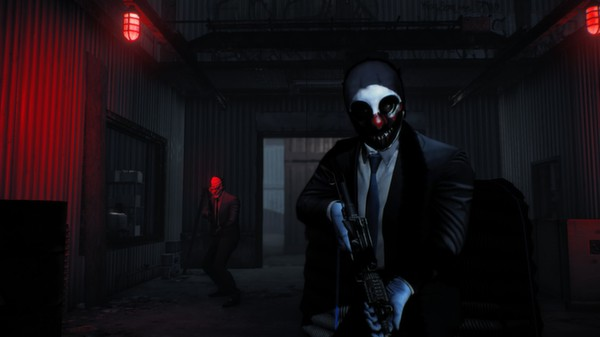 Post free period, PAYDAY 2 will be available on Steam for a 75% discount.